Happy Monday, tributes! We’ve got our first JabberCast of 2015 up for you to listen to at last. We actually recorded this one over a week ago, but I had a hard time finding enough free time to edit this quickly. We sincerely apologize for the audio issues in the first 18 minutes. I wasn’t aware that my microphone wasn’t plugged in very well, and so everyone but me sounds a little soft. Still, we hope you enjoy our return! 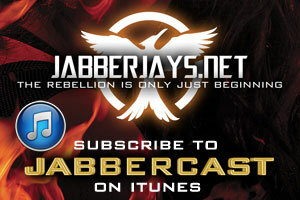 In this episode, we talk about Mockingjay Part 1’s climb to the #1 spot of 2014, the LA premiere that Jabberjay Jennifer attended, and the controversial Hanging Tree remix. 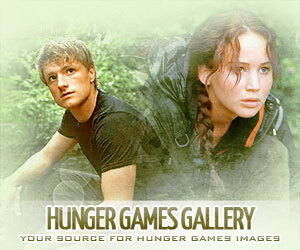 Previous: “The Hanging Tree” Has Grown Platinum!